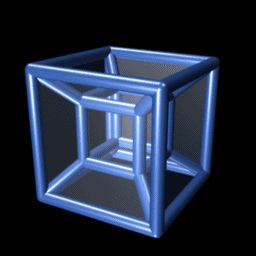 Today my first article, “The Tesseract: Folding and Unfolding a Simple 4D Hypercube” was published on the new site, “Decoded Science“. My article provides an easy introduction to the tesseract, with some fascinating visuals. This tip for freelance professionals comes in two parts. First, look for new opportunities. Decoded Science was started by one of the Suite 101 writers who believed that there was a great business opportunity in starting a new, tightly-focused web site. This would be especially true since Google’s “Panda” (or “farmer”) change in late February had penalized Suite 101, among other sites. Second, build good relationships with peers. Several of Decoded Science‘s first contributors are freelance writers who regularly submit articles to Suite 101. The invitation to collaborate in the new venture depended on being recognized in a previous setting. This entry was posted on Saturday, May 14th, 2011 at 5:41 pm	and tagged with Business Opportunity and posted in Freelancer, Hints and Tips, Writing. You can follow any responses to this entry through the RSS 2.0 feed.